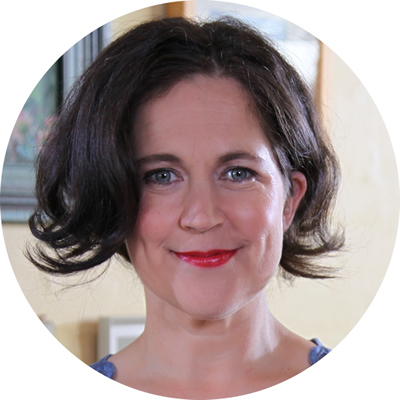 Annabel Crabb is a writer, and broadcaster with the ABC. She is a regular guest on ABC News 24’s 6pm current affairs show The Drum, and on ABC TV’s Sunday morning politics programme Insiders. Annabel also hosts her own ABC1 political cooking show, Kitchen Cabinet, in which she invites herself around to the homes of federal MPs in search of food and conversation. Annabel received two Logie nominations in 2013 including the Graham Kennedy Award For Most Outstanding New Talent and Most Popular New Female Talent for her work on the show. She writes a weekly column for the Sun Herald, Sunday Times (Canberra) and Sunday Age. In 2011, Annabel travelled to the United States as Australia’s Eisenhower Fellow to study developments in digital media and politics. She won a Walkley Award in 2009 for her Quarterly Essay ‘Stop At Nothing: The Life And Adventures of Malcolm Turnbull’, and has published two political books, Losing It and Rise Of The Ruddbot. Annabel started out as a cadet journalist at Adelaide’s The Advertiser in 1997, and worked her way through local government and state political rounds before heading to Canberra in 1999. She has since worked as a political correspondent and sketchwriter for The Age and The Sydney Morning Herald, and served for a time as London correspondent for Fairfax’s Sunday titles. More recently, Annabel has released her humorous yet thought provoking book; The Wife Drought as well as teamed up with friend and fellow ABC journalist Leigh Sales to launch an independent podcast, complete with A Chorus Line-inspired theme song they have written and sung themselves.